Criminal Minds: Here is an excerpt from CBS' ratings press release for last week. Criminal Minds did very well considering it was a rerun. Great job Criminal Minds. CBS top programs of the week: #2 NCIS (R) (an average of 11.09m viewers), #4 THE MENTALIST TUESDAY (R) (9.15m), #5 60 MINUTES (R) (8.79m), #6 CSI: CRIME SCENE INVESTIGATION (R) (8.74m), #7 TWO AND A HALF MEN (R) (8.69m), #9 CSI: MIAMI (R) (8.01m), #12 CRIMINAL MINDS (R) (7.56m), #13 CBS NEWS: THE LIFE AND DEATH OF MICHAEL JACKSON (S) (7.47m), #14 CSI: NY (R) (7.43m), #15 THE BIG BANG THEORY (R) (7.23m), #17 48 HOURS MYSTERY TUESDAY (R) (6.96m), #21 COLD CASE (R) (6.42m), #22 THE MENTALIST 6/25 SPECIAL (R) (S) (6.41m), #23 MILLION DOLLAR PASSWORD (R) (6.33m), #27 WITHOUT A TRACE (P) (R) (5.47m) and #30 NUMB3RS (R) (5.20m). 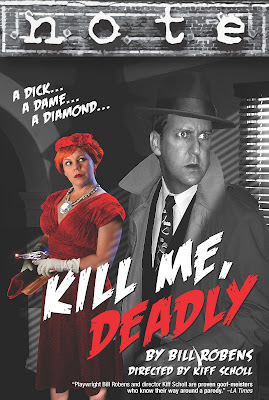 Criminal Minds: Catch Kirsten Vangsness, Penelope Garcia on Criminal Minds, in Kill Me Deadly at Theatre of Note running June 26th thru August 1st. Criminal Minds continues to score well in the Nielsen ratings. A rerun of Criminal Minds beats a first run airing of anything! Great job Criminal Minds! Prime-time viewership numbers compiled by Nielsen Media Research for June 15-21. 1. "NCIS," CBS, 10.39 million viewers. 2. "Two and a Half Men," CBS, 10.19 million viewers. 3. "The Mentalist," CBS, 10.12 million viewers. 4. "CSI: Crime Scene Investigation," CBS, 9.72 million viewers. 5. "The Mentalist," CBS, 8.97 million viewers. 6. "So You Think You Can Dance" (Wed), Fox, 8.48 million viewers. 7. "The Big Bang Theory," CBS, 8.42 million viewers. 8. "60 Minutes," CBS, 8.31 million viewers. 9. "CSI: Miami," CBS, 8.25 million viewers. 10. "Criminal Minds," CBS, 8.04 million viewers. 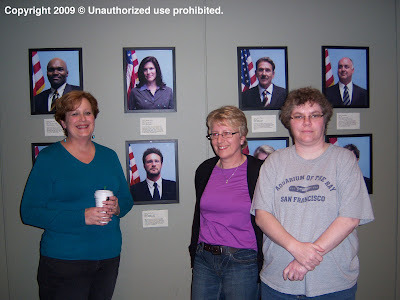 CRIMINAL MINDS: WHO WOULD BE THE SOLE SURVIVOR? Criminal Minds: "Survivor" is a CBS reality show that dumps a group of people on an island or some other harsh environment and they compete against each other to see who will be the sole survivor. Outwit, outplay, outlast. Which Criminal Minds character would win if they were contestants on "Survivor" and why? CRIMINAL MINDS QUOTES & SONG INFO FOR "BLOODLINE"
Criminal Minds quotes and song info for "Bloodline" starring Joe Mantegna, Thomas Gibson, Paget Brewster, Shemar Moore, A.J. Cook, Matthew Gray Gubler, Kirsten Vangsness and guest star Meta Golding. CRIMINAL MINDS SCREENCAPS FOR "BLOODLINE"
Criminal Minds screencaps for "Bloodline" starring Joe Mantegna, Thomas Gibson, Paget Brewster, Shemar Moore, A.J. 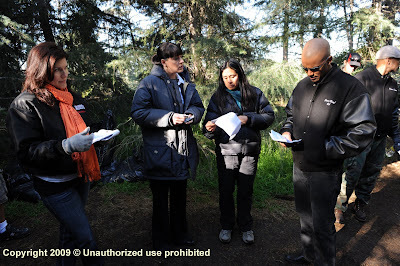 Cook, Matthew Gray Gubler, Kirsten Vangsness and guest star Meta Golding are courtesy of Keren. Sonja Flemming/CBS ©2008 CBS Broadcasting Inc.
"Bloodline" - The BAU team becomes involved in the case of a family working together to abduct young women, on CRIMINAL MINDS,(rebroadcast) Wednesday, June 24th (9:00-10:00 PM, ET/PT) on the CBS Television Network. Emmy award nominated actor Tim Matheson ("The West Wing") directs the episode. Criminal Minds: An important message from our Criminal Minds IT guru Bri: In the upcoming days our web hosting services will be moving servers from one location to another which means that the message board and all of the Criminal Minds sites located here: http://www.criminalmindsfanatic.net/ will be unvailable for a certain period of time. This move should be over by Saturday June 20. Sorry for the inconvenience. This will not effect the blog. 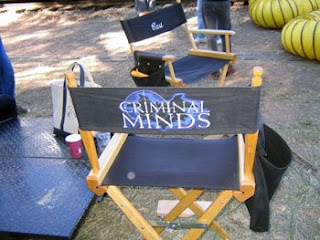 Criminal Minds: Our actors head back to the Criminal Minds set on July 9th. It is going to be a fantastic season of Criminal Minds! 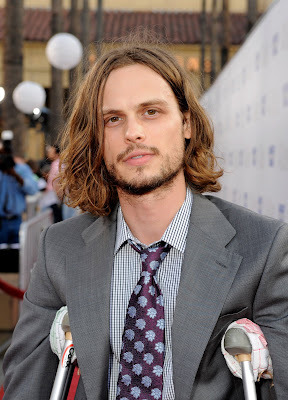 Great time to be a Criminal Minds fan!!!!!!!!!!!!!!!!!!!!!!!!!!!!!!! 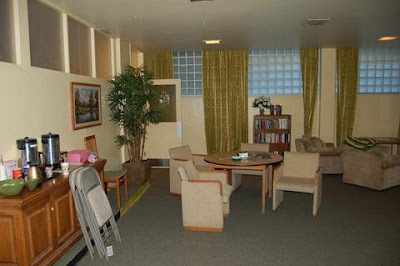 Criminal Minds cast filming "Soul Mates" written by Debra J. Fisher and Erica Messer. Directed by John Gallagher. Starring Joe Mantegna, Thomas Gibson, Paget Brewster, Shemar Moore, A.J. Cook, Matthew Gray Gubler, Kirsten Vangsness and guest starring Meta Golding. CRIMINAL MINDS QUOTES AND SONG INFO FOR "SOUL MATES"
Criminal Minds quotes and song info for "Soul Mates" written by Debra J. Fisher and Erica Messer. What a great episode! I am looking forward to watching it again tonight! Criminal Minds screencaps for "Soul Mates" written by Erica Messer and Debra J. Fisher are courtesy of Keren! Great Criminal Minds episode! 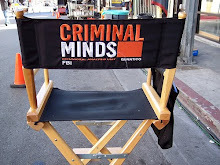 Criminal Minds scores in the top 20 in the Nielsen ratings for the week ending June 14, 2009. Great job Criminal Minds! 1. NBA Finals: L.A. Lakers vs. Orlando, Game 4, ABC, 15.96 million viewers. 2. NBA Finals: L.A. Lakers vs. Orlando, Game 3, ABC, 14.2 million viewers. 3. NBA Finals: L.A. Lakers vs. Orlando, Game 5, ABC, 14.17 million viewers. 4. "NBA Trophy Presentation," ABC, 13.48 million viewers. 5. "The Mentalist" (Tuesday), CBS, 11.62 million viewers. 6. "NCIS," CBS, 11.05 million viewers. 7. "Two and a Half Men," CBS, 9.52 million viewers. 8. "The Mentalist" (Thursday), CBS, 8.94 million viewers. 9. "48 Hours Mystery" (Tuesday), CBS, 8.85 million viewers. 10. "CSI: Crime Scene Investigation," CBS, 8.74 million viewers. 11. "So You Think You Can Dance" (Wednesday), Fox, 8.69 million viewers. 12. "So You Think You Can Dance" (Thursday), Fox, 8.65 million viewers. 13. "Wipeout," ABC, 8.49 million viewers. 14. 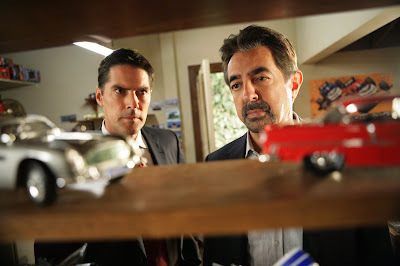 "Criminal Minds," CBS, 8.34 million viewers. Criminal Minds: Director Felix Alcala and writer Holly Harold on the set of "House on Fire" in the picture above. Felix Alcala has directed eight wonderful episodes of Criminal Minds - "House on Fire" written by Holly Harold, "Minimal Loss" written by Andrew Wilder, "A Higher Power" written by Michael Udesky, "Penelope" written by Chris Mundy, "Scared to Death" written by Debra J. Fisher and Erica Messer, "Open Season" written by Debra J. Fisher and Erica Messer, "The Perfect Storm" written by Debra J. Fisher and Erica Messer, "Charm and Harm" written by Debra J. Fisher and Erica Messer, and "Derailed" written by Jeff Davis. 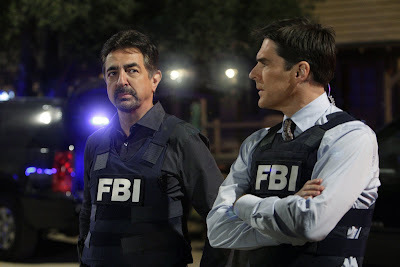 "House on Fire" - REBROADCAST - The BAU team must track down a serial arsonist who instills fear in a small town by setting fire to community meeting places and killing several residents in the process, on CRIMINAL MINDS, Wednesday, June 24th (9:00-10:00 PM, ET/PT) on CBS. 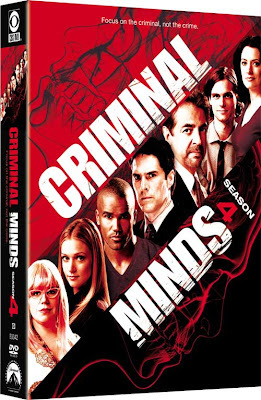 CRIMINAL MINDS SEASON FOUR DVDS! Criminal Minds: The 4th season of Criminal Minds will be released on dvd on Tuesday, September 8th! Criminal Minds stars Joe Mantegna, Thomas Gibson, Paget Brewster, Shemar Moore, A.J. Cook, Matthew Gray Gubler and Joe Mantegna. Amazon is now accepting pre-orders. Order your Criminal Minds season four dvds today! CRIMINAL MINDS SCREENCAPS FOR "NORMAL"
Criminal Minds screencaps for "Normal" are courtesy of Keren. 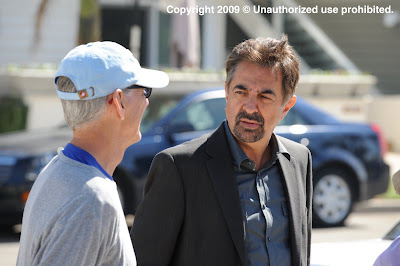 "Normal" written by Andrew Wilder and starring Joe Mantegna, Thomas Gibson, Paget Brewster, Shemar Moore, A.J. Cook, Matthew Gray Gubler and Kirsten Vangsness. CRIMINAL MINDS SPOILER THREAD FOR "NORMAL"
Photo: Adam Taylor/ABC Studios ©2008 ABC Studios Television. All Rights Reserved. Criminal Minds spoiler thread for "Normal" written by Andrew Wilder. Criminal Minds rocks! "Normal" - The team investigates a serial killer dubbed "The Road Warrior," a suspect who kills luxury car owners while they are driving on freeways in Southern California. *** Spoilers will be in the comments! Beware! Criminal Minds quotes and song info for "Normal" written by Andrew Wilder and starring Joe Mantegna, Paget Brewster, Shemar Moore, A.J. Cook, Matthew Gray Gubler, Kirsten Vangsness and Thomas Gibson! Criminal Minds: Here are the Nielsen ratings for the week ending June 7, 2009. Criminal Minds starring Joe Mantegna, Thomas Gibson, Paget Brewster, Shemar Moore, A.J. Cook, Matthew Gray Gubler and Kirsten Vangsness. 1. "NBA Finals 2: Orlando vs. L.A. Lakers," ABC, 14.06 million viewers. 2. "NBA Finals 1: Orlando vs. L.A. Lakers," ABC, 13.04 million viewers. 3. "Law and Order: SVU," NBC, 11.56 million viewers. 4. "NCIS," CBS, 11.26 million viewers. 5. "The Mentalist" (Tuesday, 9 p.m.) CBS, 10.88 million viewers. 6. "Two and a Half Men," CBS, 10.1 million viewers. 7. "Inside the Obama White House" (Tues), NBC, 9.17 million viewers. 8. "Inside the Obama White House" (Wed), NBC, 9.04 million viewers. 9. "60 Minutes," CBS, 8.89 million viewers. 10. "Law and Order," NBC, 8.87 million viewers. 11. "So You Think You Can Dance" (Wed), FOX, 8.85 million viewers. 12. 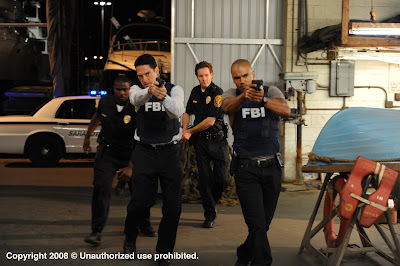 "Criminal Minds," CBS, 8.64 million viewers. 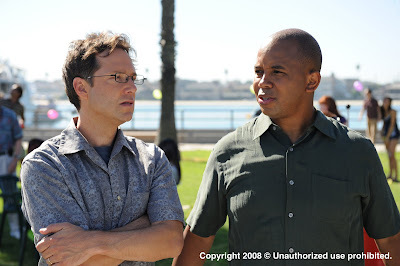 CRIMINAL MINDS: "NORMAL" WRITTEN BY ANDREW WILDER! Guest starring Faith Ford, Danni Nucci and Mitch Pileggi! CRIMINAL MINDS: HAPPY BIRTHDAY DEBBIE!! Criminal Minds: Happy Birthday to Criminal Minds moderator Debbie, pictured above with Criminal Minds writer Oanh Ly. We all hope that you have a great birthday Debbie! Criminal Minds: Mark Bruner, writer of Criminal Minds episode "Bloodline", has "left Criminal Minds to pursue other projects." I know all Criminal Minds fans wish Mark all the best in his future endeavors. He's a wonderful writer and a really nice young man. 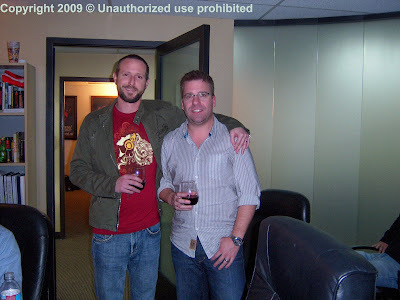 Criminal Minds: Happy Birthday to Kris Campbell, sitting next to Simon Mirren in the Criminal Minds writers room. Kris is our 'official' Criminal Minds actor. Episodes include: "Honor Among Thieves" and "North Mammon." Happy Birthday Kris! CRIMINAL MINDS CLIPS FROM "NORMAL"
Criminal Minds videos from "Normal" courtesy of CBS. "Normal" -- Agents investigate a serial killer dubbed "The Road Warrior", a suspect who kills luxury car owners while they are driving on freeways in Southern California written by Andrew Wilder, directed by Steve Boyum and starring Joe Mantegna, Thomas Gibson, Paget Brewster, Shemar Moore, A.J. Cook, Matthew Gray Gubler and Kirsten Vangsness. CRIMINAL MINDS: EMMY ENTRIES - "MAYHEM" & "A SHADE OF GRAY"
Criminal Minds: ABC Entertainment has submitted "Mayhem" written by Ed Bernero and "A Shade of Gray" written by Debra J. Fisher & Erica Messer for Emmy consideration. Both are great Criminal Minds episodes. Fingers crossed!!!! 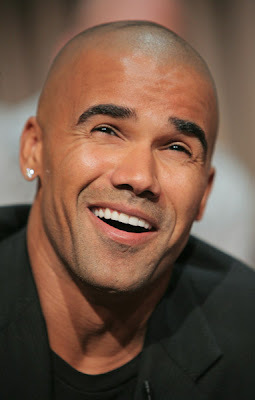 Criminal Minds: Shemar Moore, Derek Morgan on Criminal Minds, did an interview with The Come Up Show about his Canadian tour. During the interview he talks about fans coming up to him and asking him about being "Drucilla's baby daddy." He also reveals that he "aims to please" his female fans, what he does with a magic marker and how he needs wing men at these events because he can't handle all the ladies who show up. 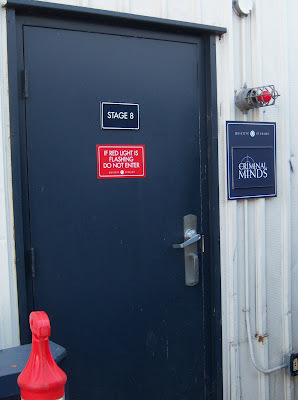 Criminal Minds: The Criminal Minds writers went back to work this past Monday and the Criminal Minds cast go back to work on July 9th. I hope they are enjoying being back to work/their vacations! 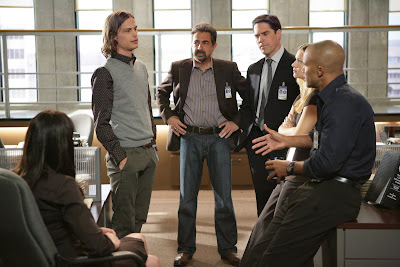 Criminal Minds Ratings: Criminal Minds stayed in the top ten Nielsen ratings for the week ending May 31, 2009. Great job Criminal Minds! 1. "NCIS," CBS, 12.46 million viewers. 2. "The Mentalist," CBS, 12.36 million viewers. 3. "George Strait: ACM Artist of the Decade," CBS, 10.63 million viewers. 4. "CSI: Crime Scene Investigation," CBS, 9.98 million viewers. 5. "Without a Trace" (Thursday, 10 p.m.), CBS, 9.71 million viewers. 6. "NCIS" (Thursday, 8 p.m.), CBS, 9.64 million viewers. 7. "Without a Trace," CBS, 9.57 million viewers. 8. "Two And a Half Men," CBS, 9.27 million viewers. 9. "So You Think You Can Dance" (Thursday), Fox, 9.15 million viewers. 10. 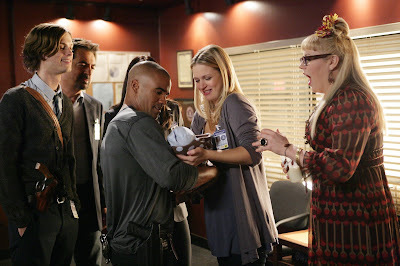 "Criminal Minds" (Wednesday, 10 p.m.), CBS, 8.93 million viewers. 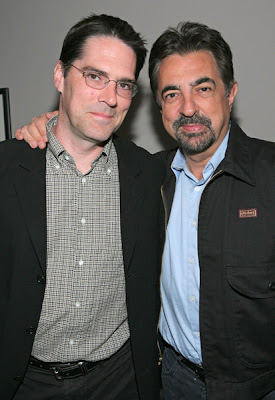 CRIMINAL MINDS SPOILER THREAD FOR "MEMORIAM"
Criminal Minds spoiler thread for "Memoriam" written by Jay Beattie & Dan Dworkin and starring Joe Mantegna, Thomas Gibson, Paget Brewster, Shemar Moore, A.J. Cook, Matthew Gray Gubler and Kirsten Vangsness. CRIMINAL MINDS QUOTES FOR "MEMORIAM"
Criminal Minds quotes for "Memoriam" written by Jay Beattie & Dan Dworkin and starring Joe Mantegna, Thomas Gibson, Paget Brewster, Shemar Moore, A.J. Cook, Matthew Gray Gubler and Kirsten Vangsness. 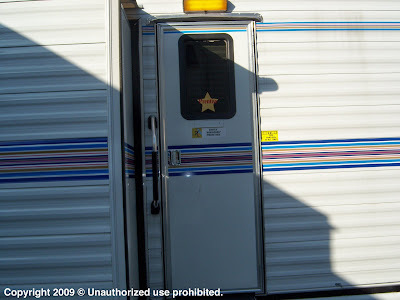 No music was used in this episode. CRIMINAL MINDS SCREENCAPS FOR "MEMORIAM"
Criminal Minds screencaps for "Memoriam" written by Dan Dworkin and Jay Beattie and starring Joe Mantegna, Thomas Gibson, Paget Brewster, Shemar Moore, A.J. 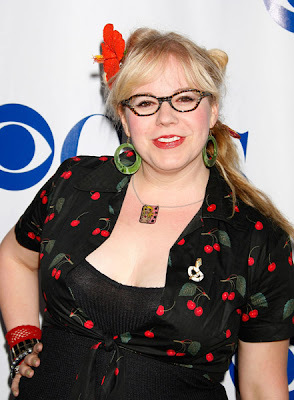 Cook, Matthew Gray Gubler and Kirsten Vangsness are courtesy of Keren. Criminal Minds: Happy Friday everyone! I've got just a couple of reminders this morning from the Criminal Minds moderators and then a new question of the day. 1. "Memoriam" written by Dan Dworkin & Jay Beattie airs on June 3rd and will be followed by an episode chat in the Criminal Minds Fanatic chat room. 2. Ed Bernero plans on sending us some questions to answer in the next few weeks. Please be on the lookout for them and give him your input. 3. 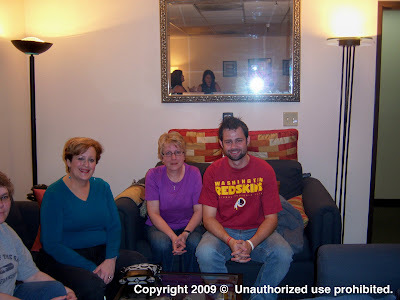 Lee, the owner of one of the Gubler groups,was voted a Top 50 Power Mom by Nielsen Ratings for her blog http://www.mysentimentexactlee.com so if you are a mom with young children you might want to checkout her blog. QUESTION OF THE DAY: During the chat with Thomas Gibson, Aaron Hotchner on Criminal Minds, many chatters had suggestions for him on which episodes from the fourth season of Criminal Minds that he should submit for Emmy consideration. What two episodes should each Criminal Minds actor/actress submit for Emmy consideration??? 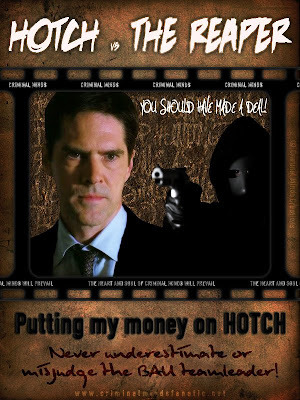 Criminal Minds fan Mira created this wondeful Hotchner vs. The Reaper poster. 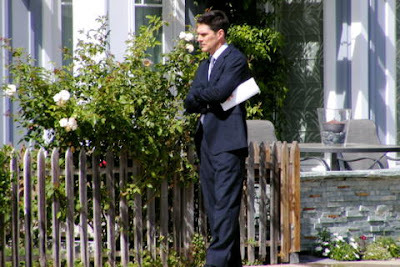 I think most Criminal Minds fans are putting their bets on Hotch! Thanks Mira!